With over 200 million hours of operating time the QuicKART® M3 cart pusher is the proven solution for shopping cart return. Over the years we listened to our partners and clients to engineer the QuicKART® M3 series with the full range of features and functionality most requested by leading retailers. $1.7 Million Sales Equivalent on Avg. The QuicKART® M3 cart pusher easily maneuvers a nested chain of up to 30 shopping carts through the parking lot, returning carts quickly and efficiently to the store collection point. A QuicKART® increases shopping cart return productivity by 100%, ensuring that your guests always have a shopping cart–even at the busiest times. 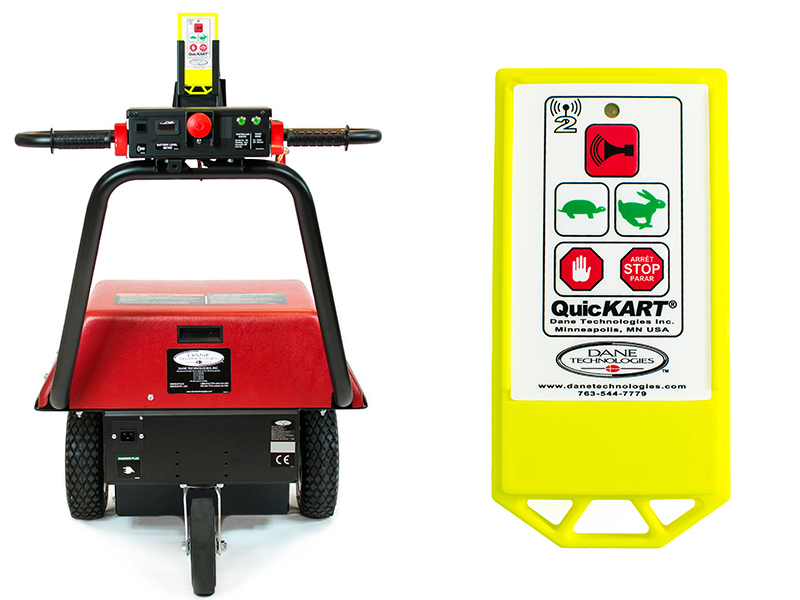 Easy-to-use operating features allow almost any employee to with basic training to safely operate a QuicKART®, and independently manage trolley collection. 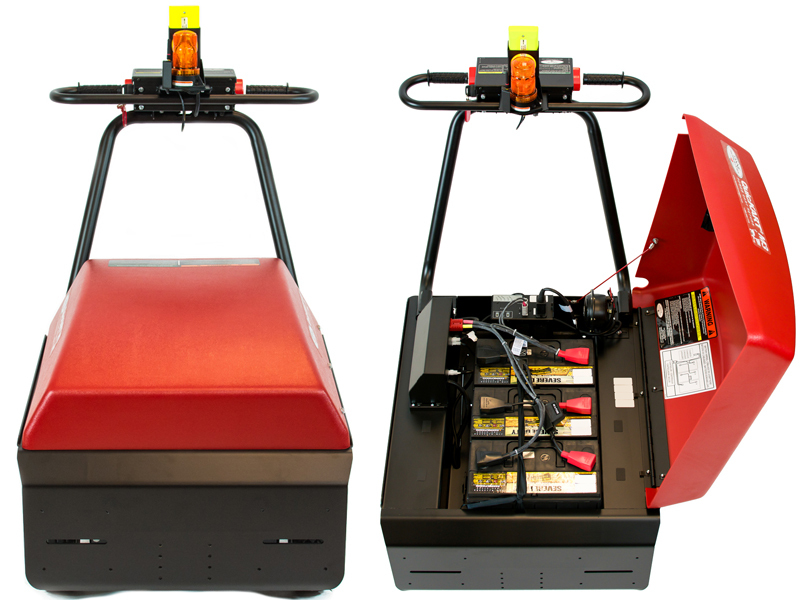 Power assist technology and ergonomic design protect employees from strain related injuries normally associated with manual cart collection, while simultaneously improving parking lot efficiency and perception. Increased productivity combined with substantial savings from fewer job-related injuries makes the proven value of the QuicKART® M3 impossible to ignore… $20,000 saved every year for each store that uses a QuicKART®. With this value proposition, most stores recover their initial investment in 6 months or less. Conservatively, a lost-time injury sustained from returning carts manually will result in at least $12,000 in workers’ compensation costs. Preventing these injuries results in savings that go directly to the store’s bottom line – at a 2% margin, that’s equivalent to $600,000 in sales. 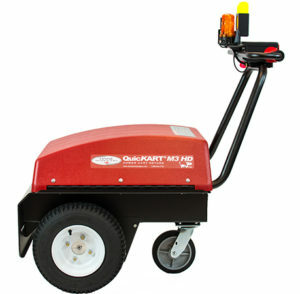 The 3rd generation of the QuicKART®, the M3 delivers the most advanced features in cart management. 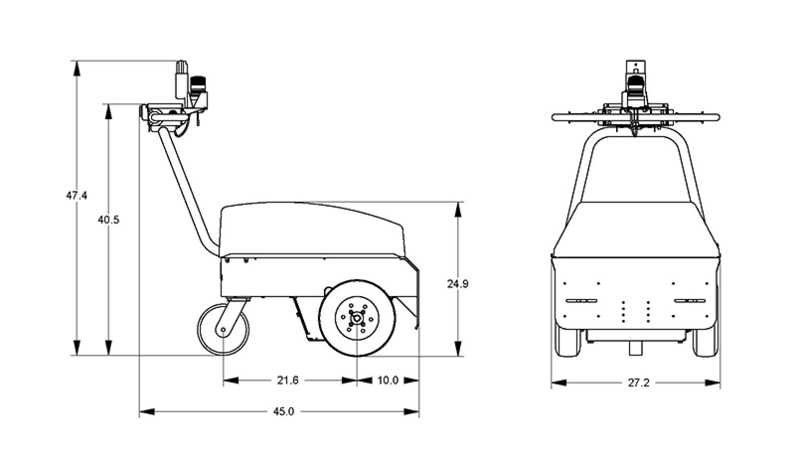 The M3 safely and easily moves 30 nested shopping carts with a single operator, increasing productivity of cart retrieval by 100% while reducing risk and injury. 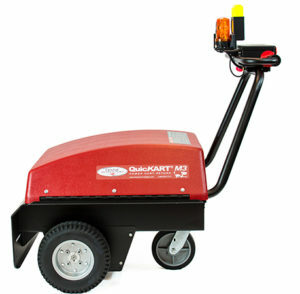 The QuicKART® M3 HD is the high capacity, heavy duty, all-weather cart pusher designed for heavy duty carts & high volume stores. 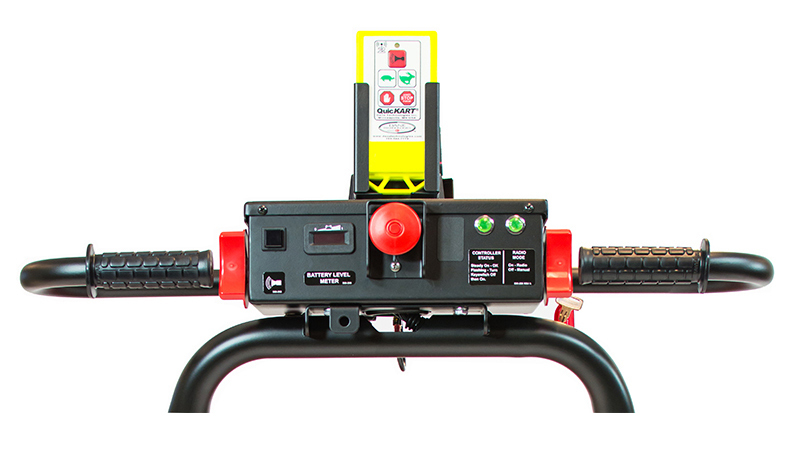 The M3 HD is designed to optimize cart control and productivity under extreme conditions. Contact us to learn more about our diagnostic service support kit and digital library of service support videos! 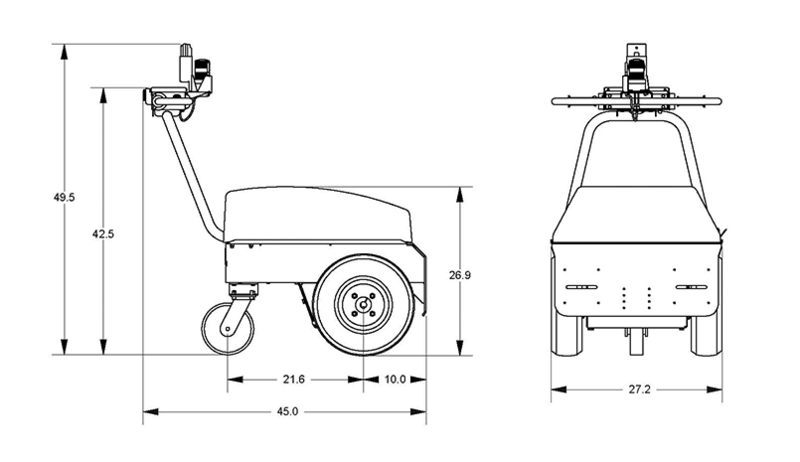 Remote Operation Custom remote control Allows operator to safely steer a line of carts from the front, while sending commands to the QuicKART® in the back, 100 ft range.